The roundabout on Hildebrand Boulevard in Kennewick, WA provides a gateway to significant new commercial and light industrial development on the east side of US-395. 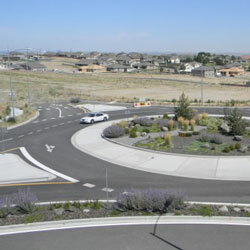 The roundabout also helps control traffic speeds and provides a transition into the Canyon Lakes planned community, a high-end master planned golf course community in South Kennewick. MacKay Sposito was hired to design the roundabout and a portion of Hildebrand Boulevard. The project was challenging because the roundabout had to be fitted in an area of steep cross-slopes. MacKay Sposito performed detailed grading analysis and prepared 3-dimensional grading models of the roundabout to refine the design. 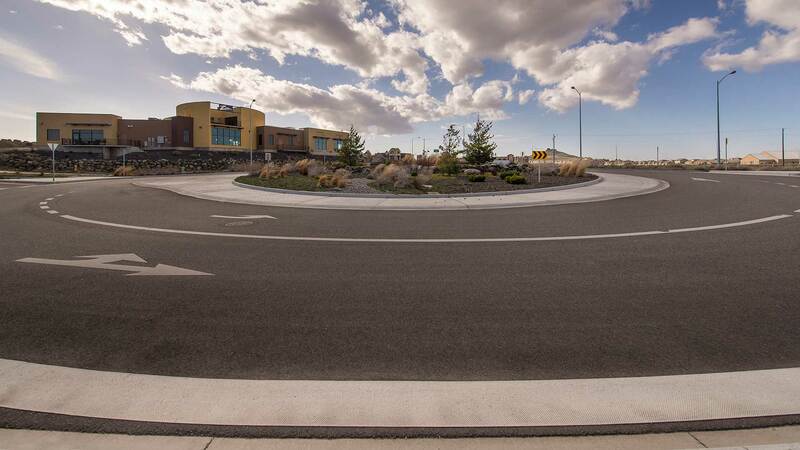 The resulting roundabout has smooth grade transitions and is safe and drivable in all-weather conditions. In addition, the project included a redesign of the intersection at Hildebrand Boulevard and US-395. The intersection redesign required additional travel lanes and right turn pockets as well as development and permitting of a Washington Department of Transportation intersection plan. 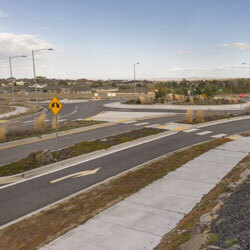 MacKay Sposito also coordinated efforts with a traffic engineer to prepare a new signalization plan for the Hildebrand and US- 395 intersection.